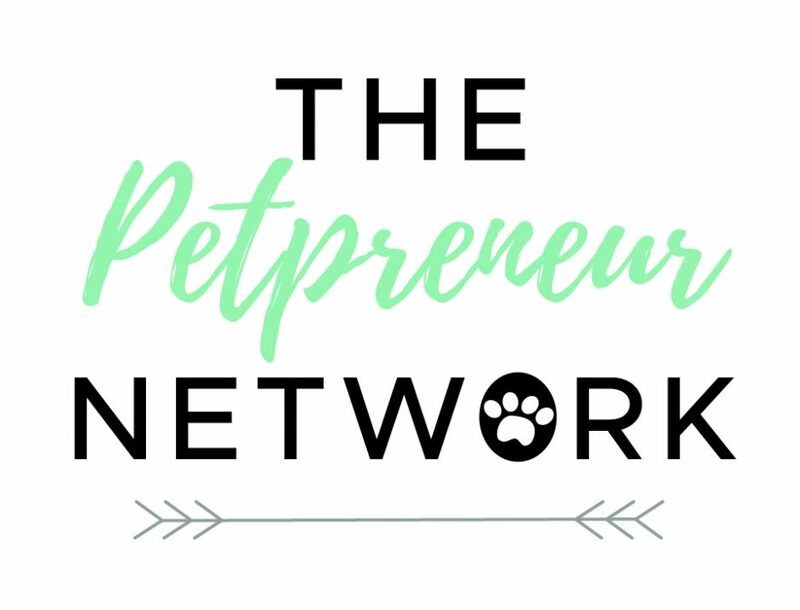 With more and more people setting up Pet Businesses it can be so difficult knowing who you can trust and who to pick, to not only take care of your precious pets, but also have keys and access to your home. If you don’t know of anyone personally or through mutual friends it can be daunting knowing who to pick. So I’ve put together a checklist and a few things for you to consider. These points are based on my personal experience of being a Dog Walker & Pet Sitter but also having pets myself. If you are on Facebook, this is an excellent way to check out a business. Look at their photos, do they have lots of pictures of pets they already look after, do they have pictures of themselves with the pets? It’s also one of the BEST places to check their reviews. Positive 5* reviews are obviously a good sign. As a business you cannot delete or edit any reviews left on your page (unless they are proved to the God’s of Facebook that they are false reviews). You can delete the whole review section though so if a business doesn’t have a review section at all, good or bad, then they have probably deleted it for a reason! Be wary. Everyone has to start somewhere so if they don’t have many reviews on their page maybe they have just started, you could always ask them for a reference from a previous employer. Ask to see their documents. Although technically it isn’t a legal requirement for a Dog Walker to have any insurance, it would be very silly for them not to. Most will have Public Liability Insurance (in the UK) which should cover things like injury to your pet/other people’s pets, the public and themselves. It isn’t expensive so I can’t think of a reason why you would not have this as a professional Dog Walker, and they should be happy to provide you with proof of this on request. Having your own general pet insurance is not enough to cover incidents that might occur when you’re not there. Overnight Dog Boarding at the Pet Sitters own house is slightly different as they WILL legally need to be registered with their local Council as health & safety checks and fire risk assessments etc will need to be undertaken and they should provide you with a certificate stating this. Always go and view the house that your dog will be staying in. Not all Dog Walkers will have specific training, so don’t let it put you off completely if they don’t. A lot of Dog Walkers I know don’t have ‘professional’ training purely because it is ridiculously expensive, not because they don’t want to learn, but most of these people will have A LOT of practical experience with dogs and other animals. From owning their own, to experience in previous jobs such as kennels or rescue shelters for example. But having said that, If you feel your pet would benefit from someone who does have training in canine behaviour or if your dog needs someone with that extra knowledge behind them, they should highlight on their website what training they have undertaken. If not, just ask and they will tell you what qualifications they have obtained. Again this is where Facebook reviews come in handy! Most Pet Professionals will offer a free, no obligation meeting with you at your house, to meet you and your pets. This is the perfect way for you to get a real feel for what they are like, their personality, if they will get on with your pets, if your pets will like them. You can ask to see their documents, any questions you might have and it’s a chance for them to see where your pets food/leads etc are kept. It’s a good sign if they are also asking you questions, for example what your pets personalities are like, what they are like on a lead, and what they are like with other dogs. It surprises me when new customers tell me that their previous Dog Walker didn’t ask them to fill out any forms. I think this is so important. It should include things like your phone numbers, your emergency contact details and/or numbers for another person who they can contact in an emergency if you are not available. It should include vets details at the very least. These forms will vary from person to person as most Pet Professionals will write their own but this should cover at least the basic information that they will need in an emergency. A really important question is how will they transport your dogs? Do they have a van? How will your dog be secured and will they be safe? Ask if you can have a look, after all they are transporting precious cargo and should be more than happy to show you how they would insure your dog’s safety. One thing that numerous customers have asked me is whether I have advertising on my vehicle. If someone has PET SITTER all over the vehicle which is parked outside your house at the same time every day, it may be obvious to others that nobody is home. Some Pet Professionals will have removable stickers which they take off their car when they are at customers houses so as not to draw attention to the fact that you’re not home. Another question I would ask is whether your dog will be walked with other dogs and how many, and how do they ensure all of the other dogs will get along with your dog? What experience do they have with dogs, have they worked with dogs before and why have they chosen to work with them now? Personally I love to provide my customers with updates, photos and videos of their pets which I am sure most Dog Walkers and Pet Sitters would happily do for you. Afterall their main aim should be your pets care but also your peace of mind. At the end of the day trust your instincts, if you’re not sure, say you’ll get back to them and maybe arrange to meet a different person so you can compare or find a better fit. MYTH – All Pet Sitters have to be registered with The National Association of Registered Pet Sitters (NARPS). Not true – NARPS is a great resource for Dog Walkers & Pet Sitters as they provide things such as insurance cover, advice, and templates, BUT it is not a legal requirement. So don’t be put off if someone is not signed up with them. Today started with an early visit to some of my feline friends so I was up at 7.30am getting ready for my first job. No Saturday morning lay in for me! After the 30 minute visit I made my way to a village on the outskirts of Peterborough to meet some new customers and their 3 dogs. They’re going on holiday soon and so the dogs are being looked after by a relative who isn’t able to walk them during the day. This seems to be a popular option for dog owners these days rather than kennels, nice for the dogs to be in their own home. The dogs seemed to approve of me and we arranged to have a walk together nearer the time so that they are used to me before their owners go on holiday. Next stop was a 1 hour walk with Obi the Doberman Cross. She was sporting her new harness which has a thick black strap with the words ‘Sports Dog’ on the side. It was a sunny day so had my sunglasses on. We passed a lady sitting on a wall who started to say something to me, looked at me, looked at Obi and then said “Oh I’m so sorry she’s working.” I walked a few more steps thinking ‘did she just… urr…what did she say? ?’ Yes I actually just got mistaken for a blind person and Obi actually just got mistaken for my guide dog…. Little did this lady know that Obi would make the world’s worst guide dog and would happily drag me in front of a moving car just for a dropped crumb or chip! Could not stop chuckling to myself all the way back to Obi’s house. I had some lunch and at 12.30 I went out again to do a 1 hour walk with 2 dogs who I see every now and again when their owner is out for the day or unable to get home from work. It’s always comical walking 2 dogs at the same time on lead, you usually end up with the leads wrapped around your legs as if they’re trying to take you down. Luckily today was a nice day as leads wrapped round you, wind and rain, hair in your face and trying to pick up dog poo is like an ‘I’m a celebrity get me out of here’ challenge! A 15 minute drive to my next customer, another 1 hour dog walk. I see this lovely girl, a Greyhound Cross, occasionally when her owners are out for the day at the weekend although this time was because her human had a broken ankle and so was unable to walk her. She was eager to go for a walk and have a sniff around. Then back home again after stopping off to get petrol and dropping off a door key to a customer whose cats I had been feeding and its 3.30pm, legs are aching after 3 hours of walking! Back out the house again at 5.45 to do an hour’s dog walk in the most beautiful little village. One thing that’s been great about becoming a dog walker is discovering hidden gems that I may never have come across. This village is one of them, it even has its own red telephone box which has been turned into a book swap! So cute. After an hour of power walking I settled my buddy in, fed her and checked on the horses that live in the field next door and it was time for my last visit to 2 dogs who needed feeding and lots of cuddles. They are such little characters and HAVE to be fussed at the same time or they get jealous so luckily I have 2 hands! I stayed a little bit longer than the 30 minutes as they are just too cute and kept giving me ‘the eyes’. Finally got home at 8.30pm and made dinner. Up again early tomorrow!